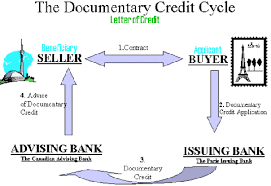 Two letters of credit (LCs) used together to help a seller finance the purchase of equipment or services from a subcontractor. With the original LC from the buyer's bank in place, the seller goes to his own bank and has a second LC issued, with the subcontractor as beneficiary. The subcontractor is thus ensured of payment upon fulfilling the terms of the contract. Is the fraction of the gas turbine work used to drive the compressor.